Once again a fantastic effort everyone on such a scorchingly hot day. Temperatures soared into the 30C range and made conditions challenging. Here are the final results. Congratulations to William Edwards with an impressive time of 4hr 29 mins and Suzy Yates with an equally impressive 4hr 50 mins. Enjoy the rest of the summer weather. 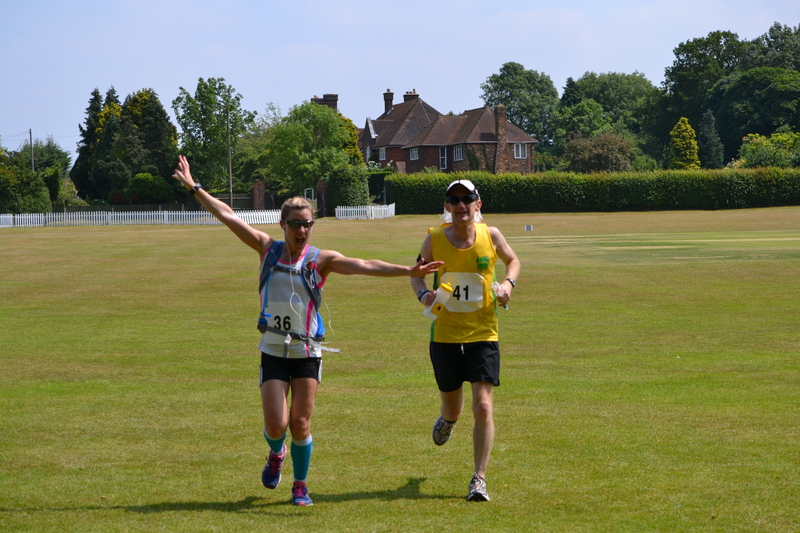 In scorching conditions today with temperatures rising to 30C a total of 48 runners started the 3rd Croydon Ultra 30 Mile race. Runners were treated to two 15 mile out and back loops showcasing the Croydon countryside via the Vanguard Way and a loop to Ladywell Fields via the Cycle path 21. 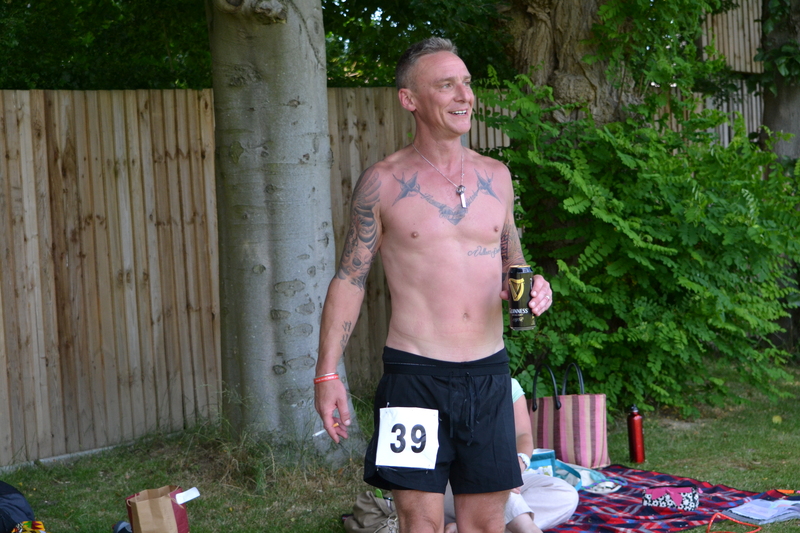 2nd Man Steve Barnes having a beer and smoke after a tough run! Its going to be hot this weekend. We will have ample supplies of water to make sure everyone has enough to go round. Of course we will have our usual goodies at the checkpoints, cake, cheese, tortillas, SIS gels and of course Haribos. There might also be some other goodies on offer…….